King Charles II of Spain was the last king of Spain from the Habsburg dynasty. How did he get so ugly? And how come he had no heir, when he was mariied twice. Read the sad history of this infamous last habsburger on the Spanish throne. DISCLOSURE: I get commissions for purchases made through some of the links in this article. 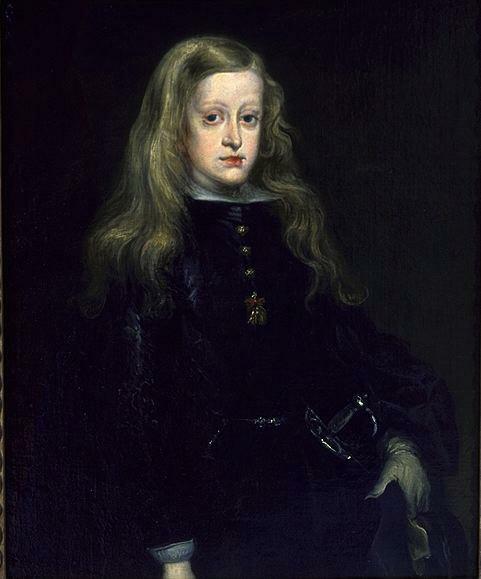 The Spanish Habsburgs married heavily between each other, which finally resulted in the birth of this Prince of Asturias, the title given to the person first in line to the Spanish throne, in 1661. If you look at the paintings he was not a real handsome guy. And just think, the painters back than often painted a much nicer picture than the subject would deserve, so how realistic are these images? Reality could have been even worse. 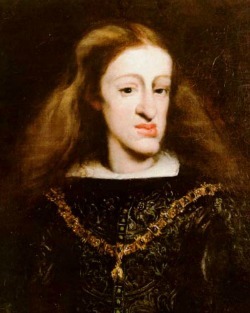 Charles II of Spain only lived to be 39 and had a hard life. He was mentally and physically handicapped, and his enormous Habsburg jaw made that he was unable to chew. Because of an abnormal big tongue he was also barely able to speak. On top of this he did not get a proper education, so he spent his adult life, just a brief period of time from prolonged infancy to premature senility, under other people’s influence, first and foremost that of his mother. Family tree of Charles II of Spain. 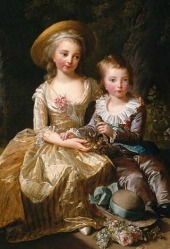 Charles’ own mother was the niece of his father, so his grandmother was also his aunt. To go even further down the line, he did not have 4 grandparents like most of us. Okay, that’s complicated let’s see how that works…. 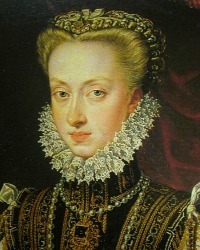 This is Charles’s Mother, Mariana of Austria Queen of Spain. 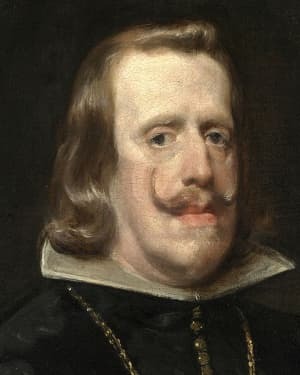 This is Philip IV of Spain, also a very handsome guy! 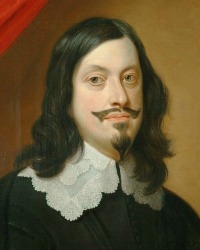 He is the father of Charles II and the uncle of Mariana. 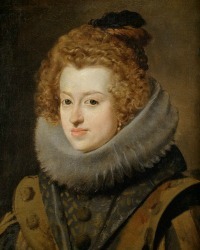 In 1649 Mariana, fourteen years old, married her uncle, after he became a widower when his first wife Elisabeth of France died. He was forty-four-year’s old at the time. If we take a look further up the line of Charles’s father we can see the same thing happening again. 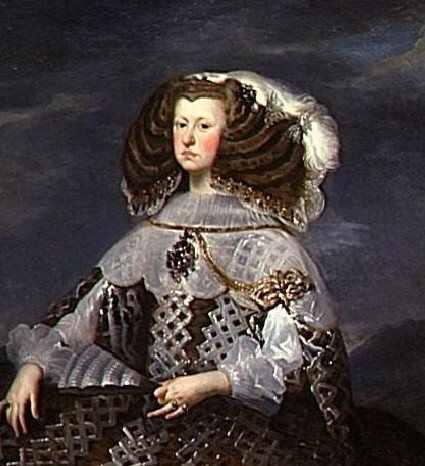 And this is his maternal Grandmother, Maria Anna of Spain (18 August 1606 – 13 May 1646) the youngest daughter of King Philip III of Spain and Margaret of Austria. 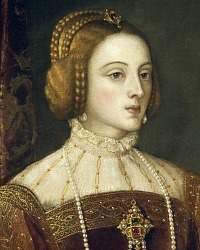 But her we go, Maria Anna of Spain was the sister of Philip IV of Spain, who is Charles’s dad! So Charles’s father and his grandmother are brother and sister. 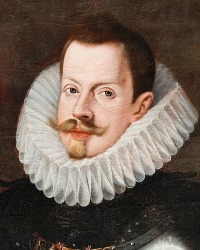 The father of Philip III was Phillip II, and he also married his nice. This was Anne of Austria, the eldest daughter of his sister Archduchess Maria of Austria and Maximilian II, Holy Roman Emperor. 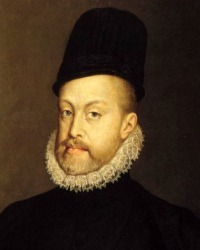 Anne was suposed to marry her cousin Don Carlos of Spain, the only son of her maternal uncle Philip II, but unfortunately he died in 1568. Philip desides to marry his nice himself, since he had no male heirs yet. He was 22 years older than her. 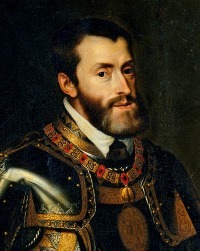 The father of Philllp II was King Charles V, who married his first cousin Isabella of Portugal! It goes on and on, as the Royal families of those times tried to strengthening the bloodlines and therefore forging political alliances by strategic marriages. They had never heard of dna and genetic defects and could not see any harm in this other than what the bible had to say about it. As long as the pope gave dispensation, there was no obstacle for marriages between close relatives. All this inbreeding finally is thought to have resulted in the downfall of the Spanish Habsburg Dynasty, followed by a European war that lasted for 14 years. As always, the marriage strategies of the European royalty could not prevent war, and as a result different royal houses fought each other, despite the fact that somewhere down the line, they all were (and are) related. 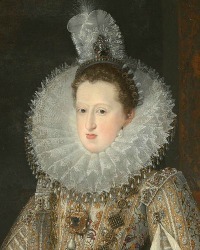 Although Charles II of Spain married twice, he did not produce any issue. It was thought that, amongst his other numerous health problems, he was impotent. He died childless at the age of 39, naming Philip of Anjou, grandson of Louis XIV, as his sole heir. 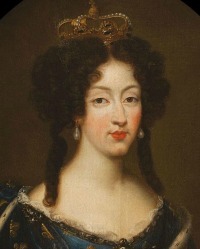 Marie Louise d'Orléans married the 18-year-old Charles II when she herself was 17. Charles really loved his first wife, but they were not able to have children. 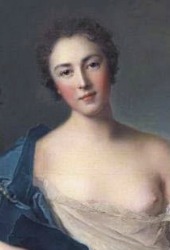 Marie Louise died 10 years later, only 27 years old, probably of Appendicitis. Charles was hardbroken when his first wife died, but had to marry again, there was no heir yet! 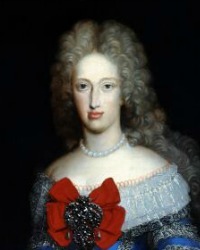 He married princess Maria Anna of Neuburg within a year after the dead of Marie Louise. She outlived Charles many years. Charles died in 1700, Maria Anna lived until 1740. She spend most of those years in excile. since he new Spanish king banished her. A lot of European countries did not much look forward to a Bourbon king on the Spanish throne, so this was the start of the war of the Spanish succession, in order to restore the balance of power in Europe. In the end Philip of Anjou remained king of Spain as Philip V until 1724, but a treaty (treaty of Utrecht) was drawn up that strongly forbade a single ruler on the Spanish and French throne. Charles II of Spain lived in the Royal Palace of Madrid. It is still the official residence of the Spanish Royal family, but when not in use it is open to visitors. You can learn all about the rise and fall of Spain’s Habsburg and Bourbon dynasties on this city walking tour in Madrid. Including a skip-the-line visit to the Royal Palace of Madrid. FTC Disclosure -In my articles I recommend some products and services I love. If you make a purchase by clicking a link on this page, I receive a small commission. There is no cost to you and this does not influence the content.